Have your car tires gone flat? Just call Towing West Los Angeles, and we will change your flat tires for you. We will check to see if the rest of your tires to are good to go on the road without the chance of going flat too. 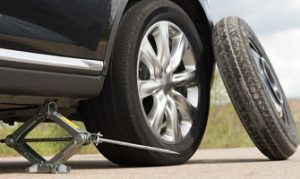 If you already have a spare tire but do not have the tools to fix it, we can help you change it. Don’t be stranded in a location you are not familiar with, find assistance by calling us and you will be assisted in no time. Our professional crew assess your problems before we take any actions. We can be very sure to do whatever it takes to get you back on the road safely. Quality services from us will make you feel that you have made the best decision for choosing us over our competitors. Car batteries are not made to last forever; even the best car batteries go flat some times. Factors can be the weather or simply the batteries are faulty. When this happens, you can find yourself stranded on the side of the road not knowing of what to do. You may think jump starting dead car battery is simple mechanical task. However, if done incorrectly, it can cause damage to your engine, your vehicle, or even you physical may get injury. Contact the professionals to do the work for you, there is no need to risk for damages and injuries. 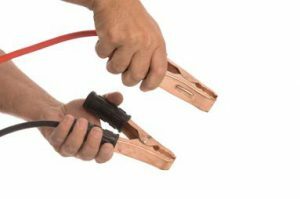 Using the right tools, cables, and equipment, we can perform the correct jump start. We have helped getting drivers back on the road safely. Let's say you are at a store buying groceries and you did not notice that when you closed and locked your car door, you left your keys sitting right on top of the seats. 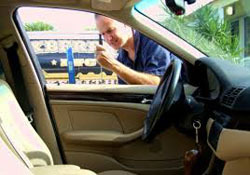 Now you do not know what to do; that is where we can help with our auto lockout services. We can unlock doors of trucks, vans, trunks, cars, etc. We have assisted many people whom are locked out of the vehicles. Whether you are locked out of your car in front of your home, work, or some unfamiliar parking lot, just call our team of experts and they will respond to your location as quickly as possible to get you back into your vehicle. Running out of gas can be frustrating, and also troublesome when you are nowhere near to a gas station. Whether your fuel gauge is off, or you are just running on fumes trying to get to the nearest gas station, running out of gas is an inconvenience to anyone's day. You probably won't want to find a gas station by walking there, buy a container of gas and walk all the way again back to your vehicle. If the weather is extreme or the traffic is busy, you risk of injuring yourself. 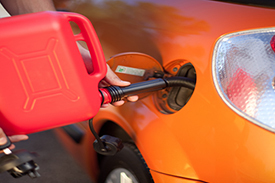 Fortunately, we are equipped with fuel containers and will get to your location with the type of gasoline you need. 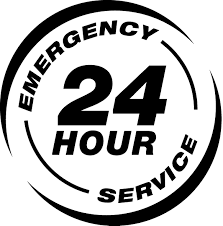 We are available 24 hours a day, 7 days a week to relieve your roadside issues.